In June 2015 Nelson Kootenay Lake Tourism joined with 150 paddlers and made their way down the 100 kilometres of Kootenay Lake. Jun. 13, 2016 3:00 p.m. 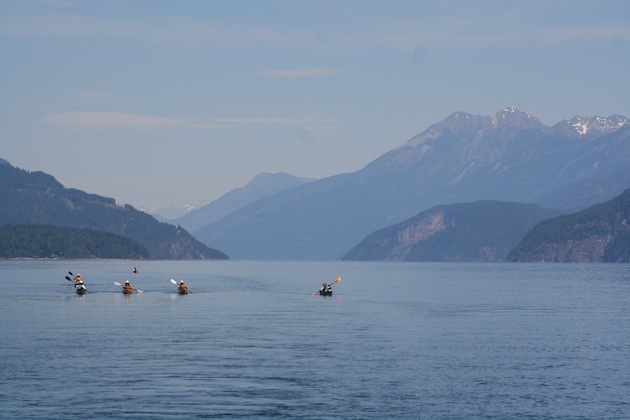 In June 2015 Nelson Kootenay Lake Tourism joined with 150 paddlers and made their way down the 100 kilometres of Kootenay Lake over seven days. The journey began by rafting down the Lardeau River that empties into the lake. From there they began the journey on SUPs, canoes and kayaks. Day by day they paddled in awe of the beauty and rested at Davis Creek, Schroeder Creek, Woodbury, Wing Creek, Kaslo, Ainsworth Hot Springs, Cody Caves, Balfour, Kokanee Creek and Nelson. This year, they are paddling the lake again and invite you to join them for a one-day paddle, June 26, from Kokanee Creek Provincial Park to Nelson, and/or a three-day paddle, Sept. 9 to 11 from Davis Creek to Ainsworth Hot Springs. Visit nelsonkootenaylake.com/paddlekootenaylake to reserve your spot and find out more.